My name is Richard Farrington. Thank you for visiting my website. I've been shooting and selling stock photographs for over 30 years; long enough, I think, to be dubbed a veteran. I prefer to shoot mostly natural landscapes, seascapes, mountain scenes and classic cars, although any interesting subject is worthy of my attention. 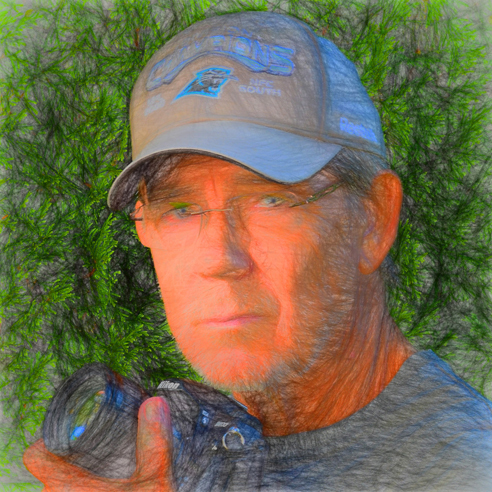 These days I'm delighted to find myself fully engaged in amazing, new technologies: smart, digital SLR cameras and mind-boggling photo-management computer programs like Photoshop which have given birth to digital art. I’m fortunate to have been blessed with a simple talent: the ability to see the quintessential elements of a pretty picture. When I'm out there photographing, I follow my eyes. And when I’m at my computer, I transform my camera’s images into digital compositions, which is what my photographic art is all about. My style is diverse, often wild and funky, splashing bright colour on the canvas. I strive to make my images one-of-a-kind.